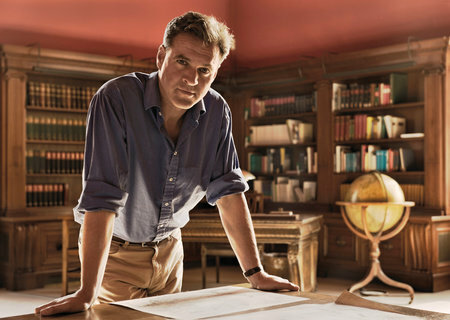 The fact that the right-wing Professor Niall Ferguson has been caught leading a campaign to attack a left-wing student he disagreed with should come as no surprise. While a lot has been made over the scandal what is being missed is the extent that Ferguson’s political activities are a defence of the process of commercialisation of universities and that anyone who comes into conflict with this state of affairs becomes the target of a witchhunt. The Standford based historian was joined in his witchhunt by other members of the Cardinal Conversations, which is a Stanford program run by the conservative Hoover Institution. This group aims to collect the most right-wing people possible and give them a legitimate hearing inside the university. Standford’s link to the right-wing think tank Hoover Foundation is well known. It has a budget of $50 million and an endowment of more than $450 million. As one writer put it “There is no left-wing equivalent — a sizeable ideological think tank that intimately connected to a university — at any school in the United States. Standford regularly invites, a veritable who’s who of right-wing writers and theorists, including race-and-IQ theorist Charles Murray, tech mogul Peter Thiel, and Christina Hoff Sommers, a prominent critic of modern feminism”. Ferguson who appeared to be the leader of the group that believed the left wing student Michael Ocon was a danger to the group. In an email to two other members of the Stanford Republicans, John Rice-Cameron and Max Minshull, he wrote that “some opposition research on Mr O worthwhile.” Minshull stated he would “get on” the dirt-digging. More comments from this group are of a sinister and provocative nature. They would not look out of place in a Donald Trump Tweet. While not on the same scale there are striking similarities to the Watergate Scandal in particular how Nixon mobilised the full apparatus of the state against the Democrats. As one writer correctly stated “The whole saga is bizarre — and revealing. It illustrates a profound double game underpinning much of the so-called “free speech” controversy: a controversy that often isn’t really about freedom and is more concerned with power than with speech”. While many commentators have concentrated on the danger to free speech within the universities, there has been no attempt to link the right-wing group of academics with the growing commercialisation of universities. It is becoming clear that far from universities being places of study and research for the common good many are becoming nothing more than appendages to transnational corporations. The fact that universities such as Oxford or Cambridge have vast cash reserves bear witness to this. According to the Guardian newspaper, 36 Oxford colleges have 'consolidated net assets' of £5.9 billion, while the University holds a further £3.2 billion. This process of Privatisation of education has been followed by writer and historian Stefan Collini writing in 20011 Collini criticised both Labour and Conservatives for being complicit in this process. “Much of our contemporary discourse about universities still draws on, or unwittingly presumes, that pattern of assumptions: the idea that the university is a partly protected space in which the search for deeper and wider understanding takes precedence over all more immediate goals; the belief that, in addition to preparing the young for future employment, the aim of developing analytical and creative human capacities is a worthwhile social purpose; the conviction that the existence of centres of disinterested inquiry and the transmission of a cultural and intellectual inheritance are self-evident public goods; and so on. While that conception of a university and its purposes is still very much alive and may, I suspect, still be the one held by a great many ‘ordinary’ citizens, we may be nearing the point, at least in Britain, where it is starting to give way to the equivalent of MacIntyre’s barren utilitarianism. If ‘prosperity’ is the overriding value in market democracies, then universities must be repurposed as ‘engines of growth’. The value of research has then to be understood in terms of its contribution to economic innovation, and the value of teaching in terms of preparing people for particular forms of employment. There are tensions and inconsistencies within this newer conception, just as there are in the larger framework of neoliberalism: neoliberal thinking promotes ‘free competition’ in international markets, while the rhetoric of national advantage in the ‘global struggle’ often echoes mercantilist assumptions. But, gradually, what we still call universities are coming to be reshaped as centres of applied expertise and vocational training that are subordinate to a society’s ‘economic strategy”. This is not the first or the last time Ferguson has mounted what appears to be a considerable provocation aimed at inciting a response from the left to launch a witchhunt against anybody who challenges his right-wing agenda. In her three-part series called What price an American empire? Reviewing Ferguson’s book Colossus: The Rise and Fall of the American Empire, Marxist writer Ann Talbot exposes Ferguson’s political and historical agenda. “All British historians, E.H. Carr once said, are Whigs, even the Tories—but not in Niall Ferguson’s case. He is a Tory formed in the Thatcherite mould, who cut his teeth writing for Conrad Black’s Daily Telegraph while he was a research student in Germany.